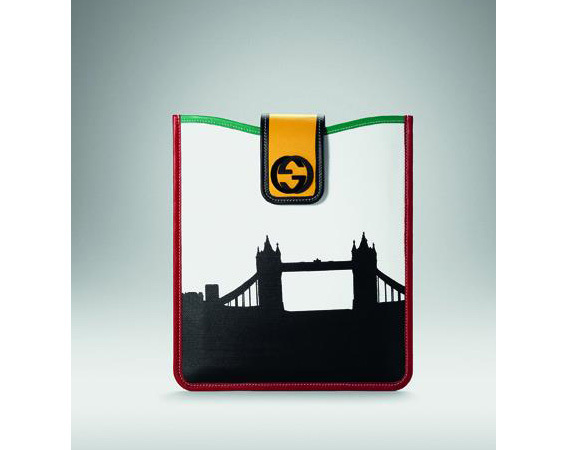 Have your passports ready, the newest addition to the limited Gucci City Series Collection brings you to London. 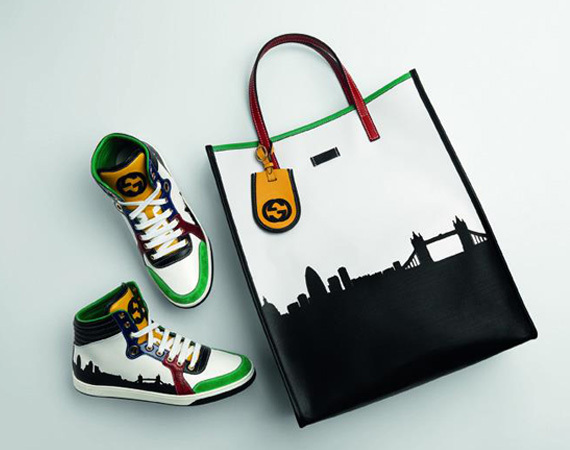 Featuring all that you will need for the brief stop-over – a large leather duffel in place of the cumbersome luggage, leather tote for a brief excursion around the town, plus mobile carrier and high top sneakers, all donned with blacken skyline silhouettes of London against a backdrop of white. 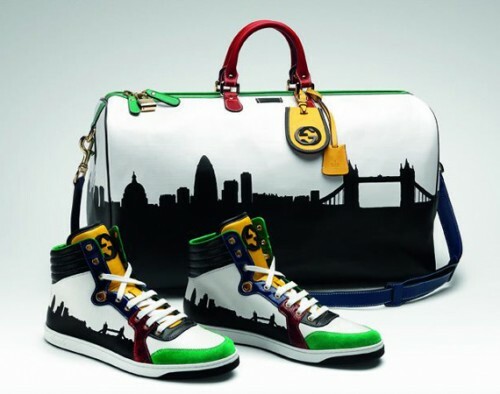 Completing each design are accents in blue, green, red, and yellow inspired by the 5 rings of the Olympic Movement. 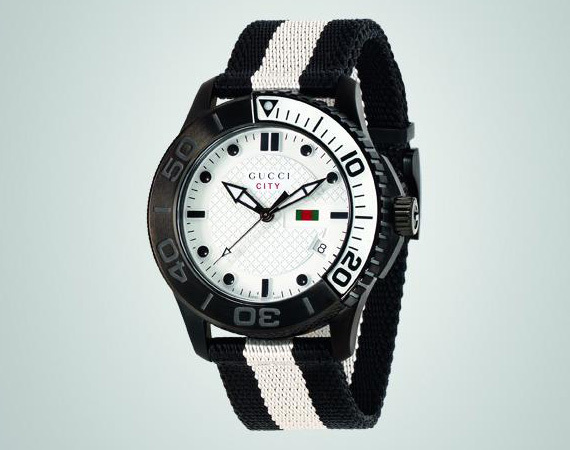 The collection also comes with a G-Timeless Sport watch and Gucci branded sunglasses featuring the unmistakable London skyline. 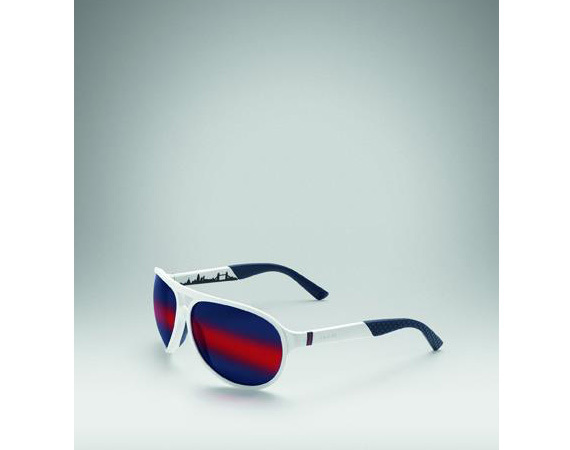 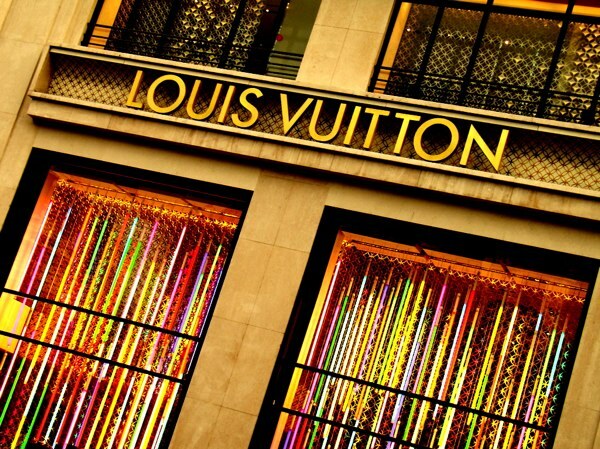 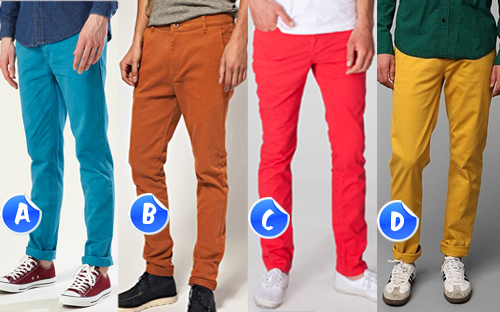 All will be available in the coming months at your nearest Gucci boutiques. 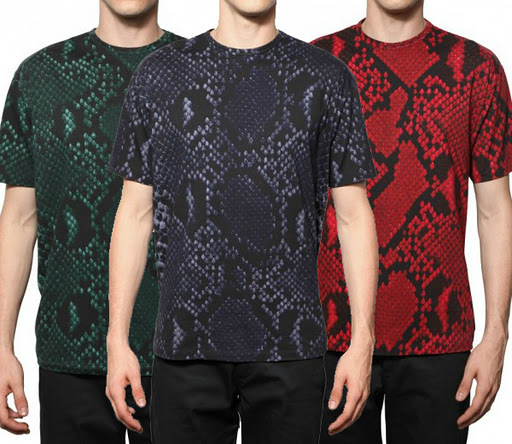 Jil Sander has done it yet again. 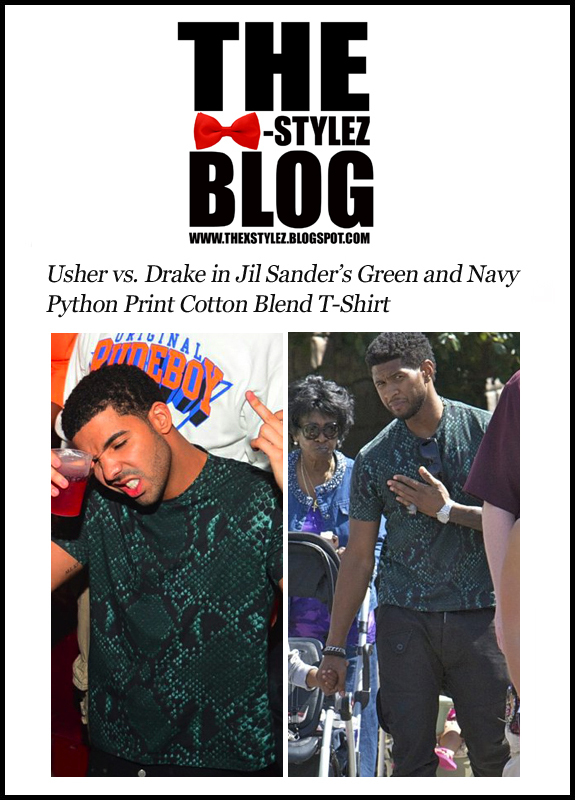 This $290 Jil Sander green and navy Python Print Cotton Blend T-Shirt from her new collection has already been recently spotted on Usher and Drake. 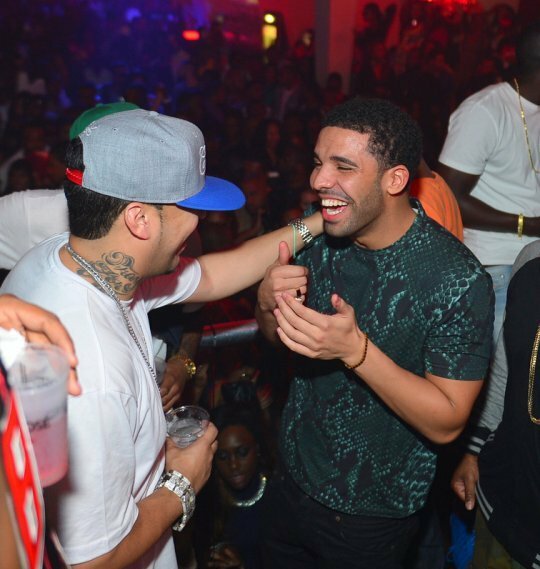 Rapper, Drake recently performed at the Velvet Room in Atlanta. 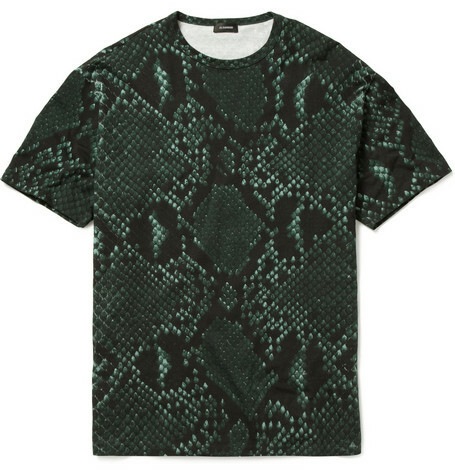 He hit the after party in the python tee and paired it with simple black jeans and a single ring and beaded bracelet. 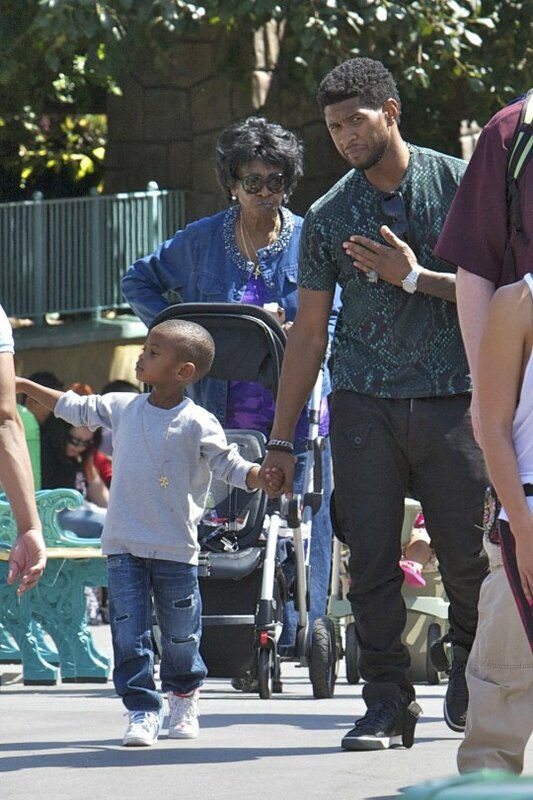 Father, Usher was spotted in tee while taking his son for a fun-filled day in Disneyland. 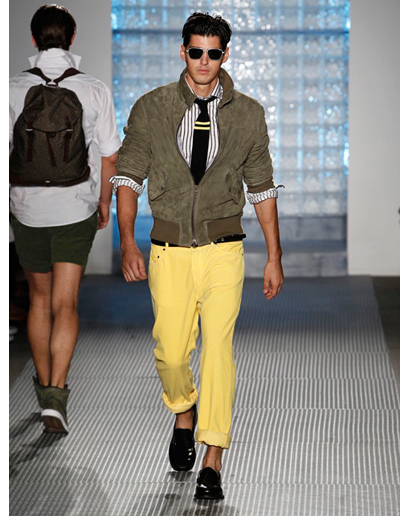 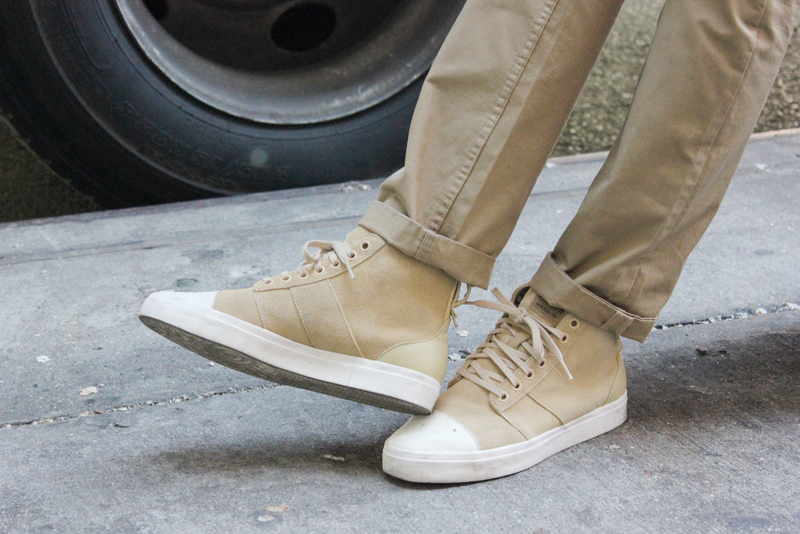 He played up the shirt’s green tones with black G Star khaki cargo pants and Lanvin sneakers. 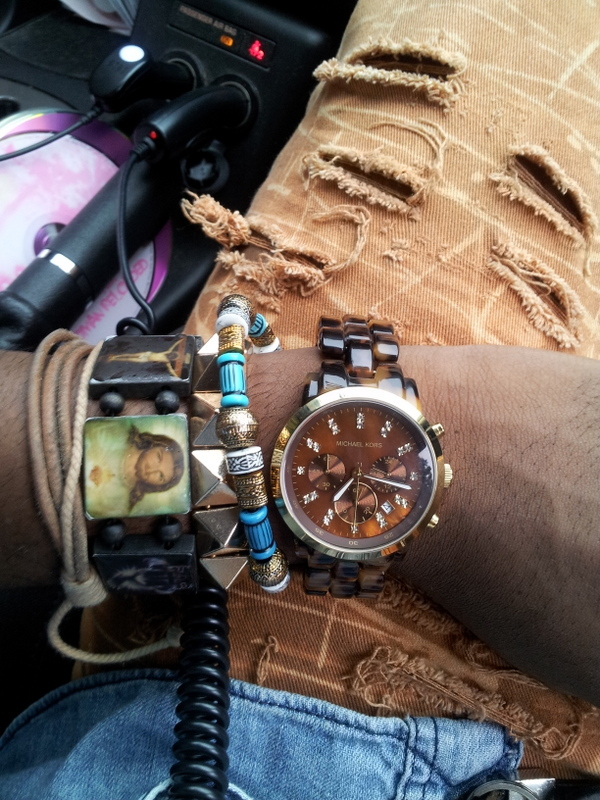 He also accessorized with sunglasses tucked in the neck, mixed bracelets and a pinky ring. 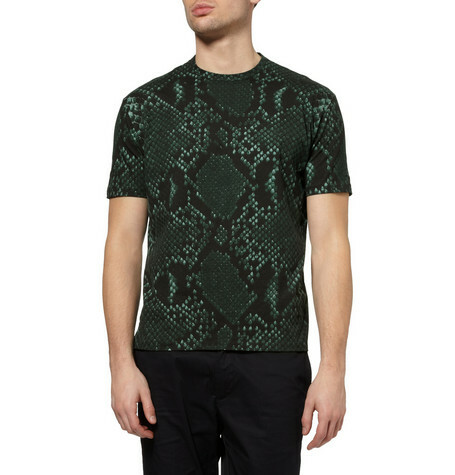 Unfortunately for us this color in the tee is sold out? 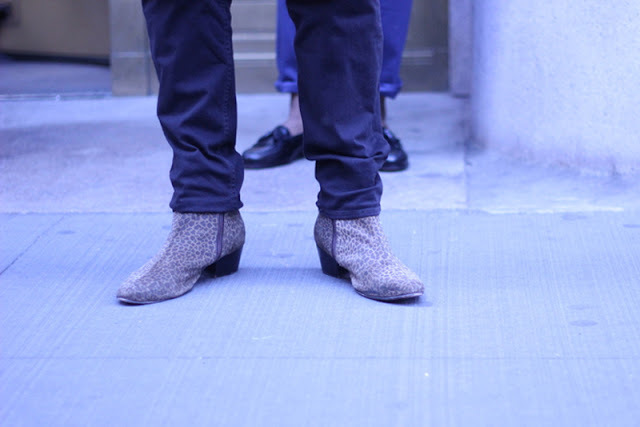 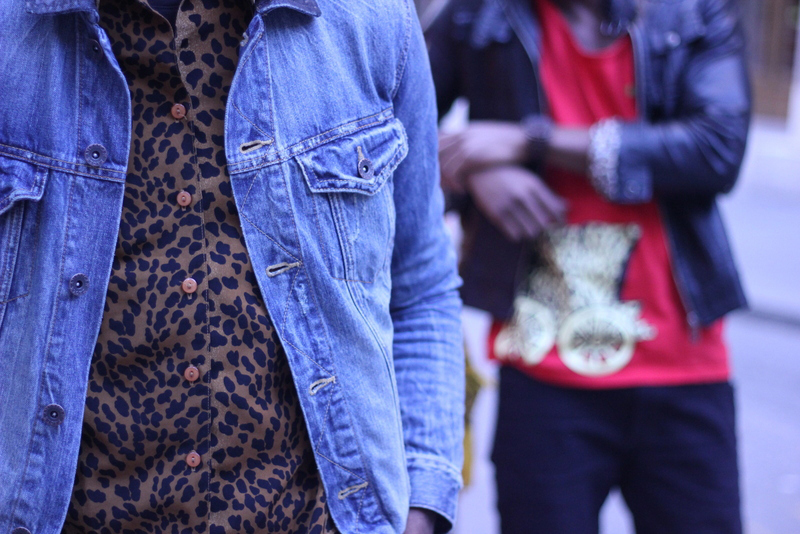 Yes, it takes a REAL MAN to where leopard. 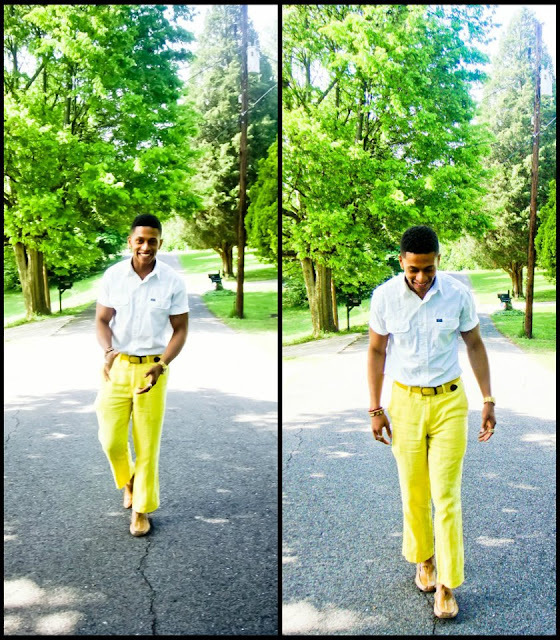 Welp this is a touchy subject but hopefully after this post lives will be changed (lol). 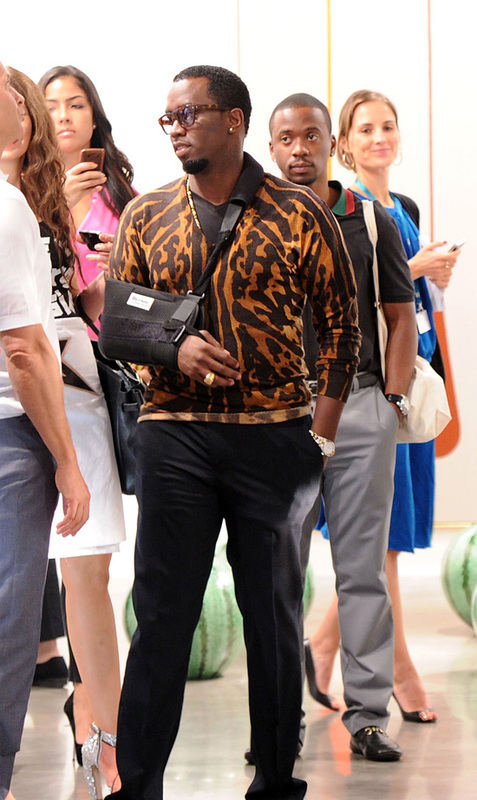 Fashion icon Kanye West broke the ice when he was spotted in a GIVENCHY gabardine leopard bomber jacket for the second time recently on BET hit music countdown show 106 and Park. 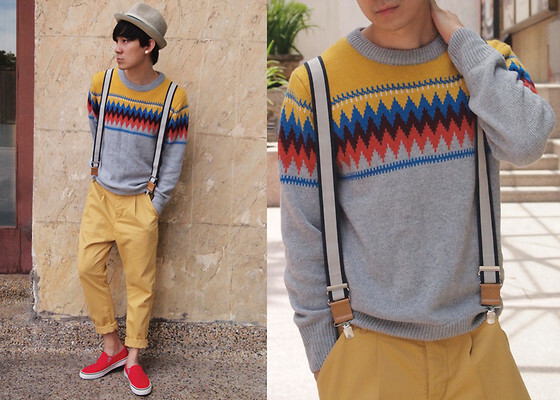 I thank Ye for taking this risk and finally bringing light to a controversial print some would classify as un-masculine. 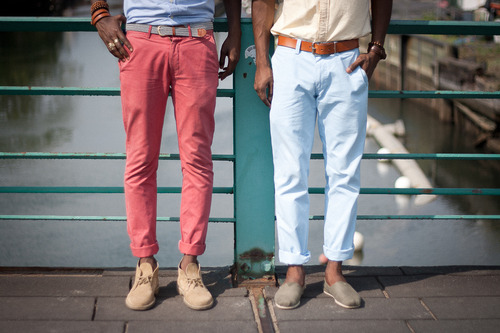 Remember the age old debate: Should real men wear pink? 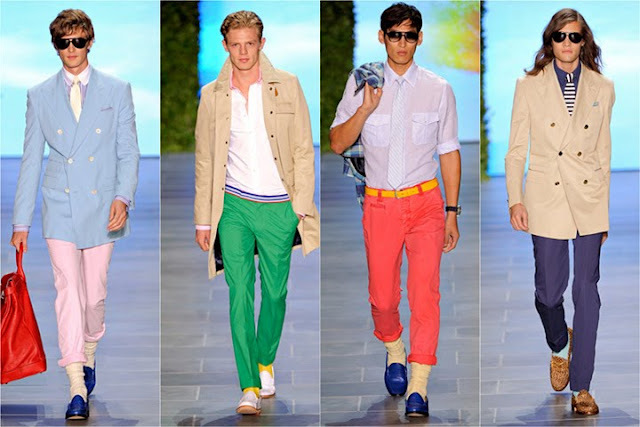 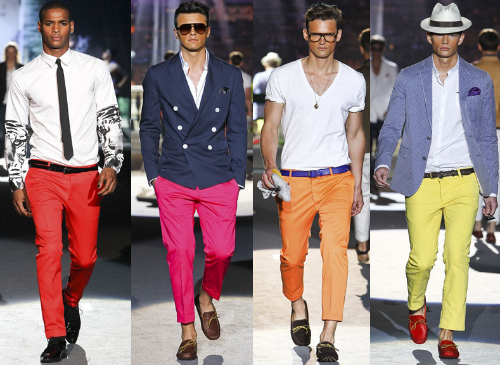 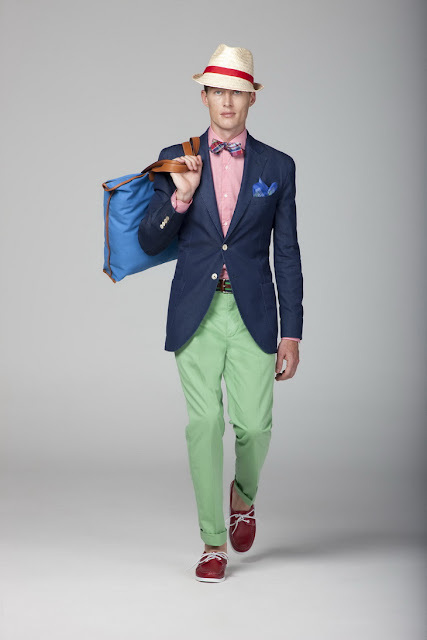 Well, pink disagree or not is just a color and with fashion powerhouse prep brand-names like Polo Ralph Lauren continuing to incorporate the the color in their collections, it is now more worldly acceptable. 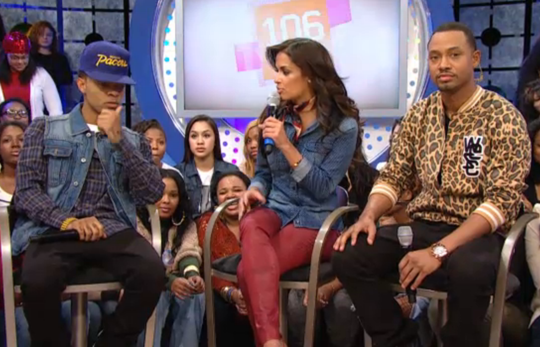 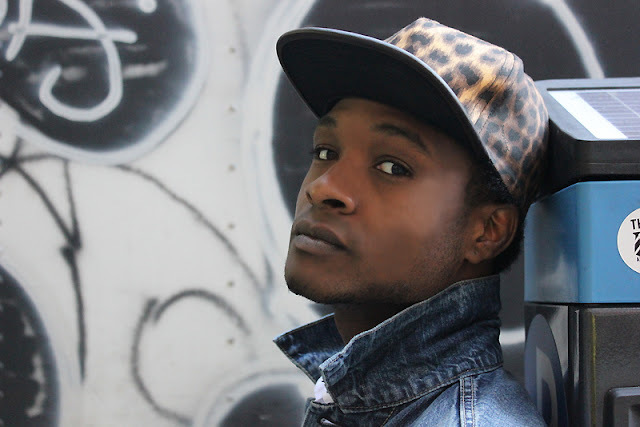 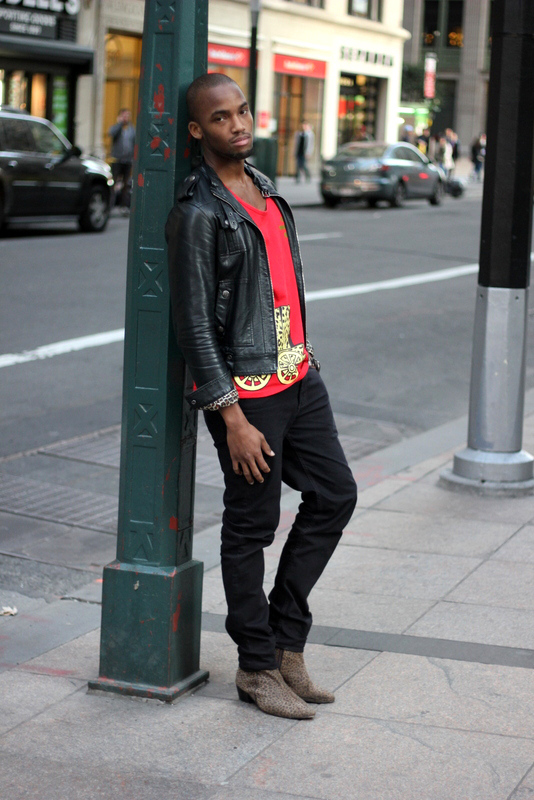 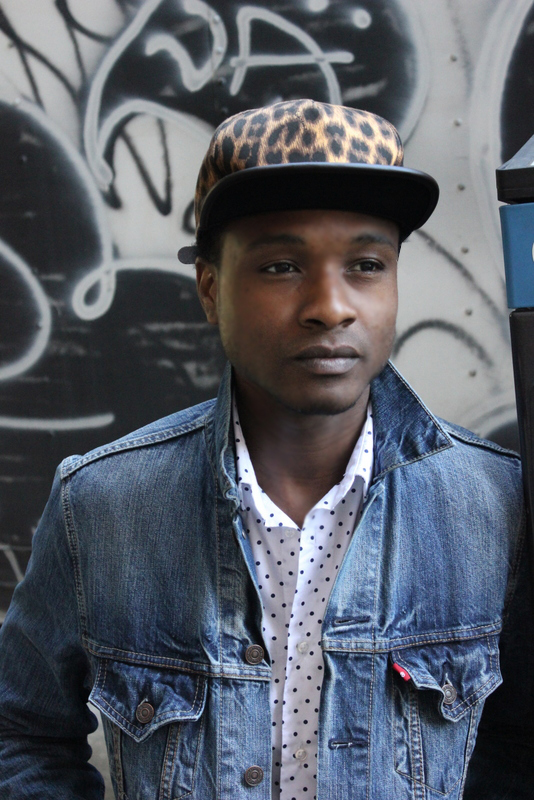 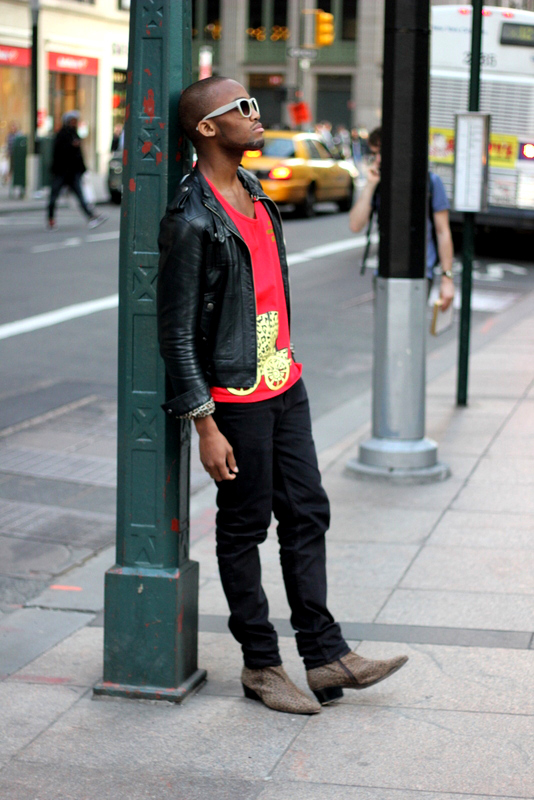 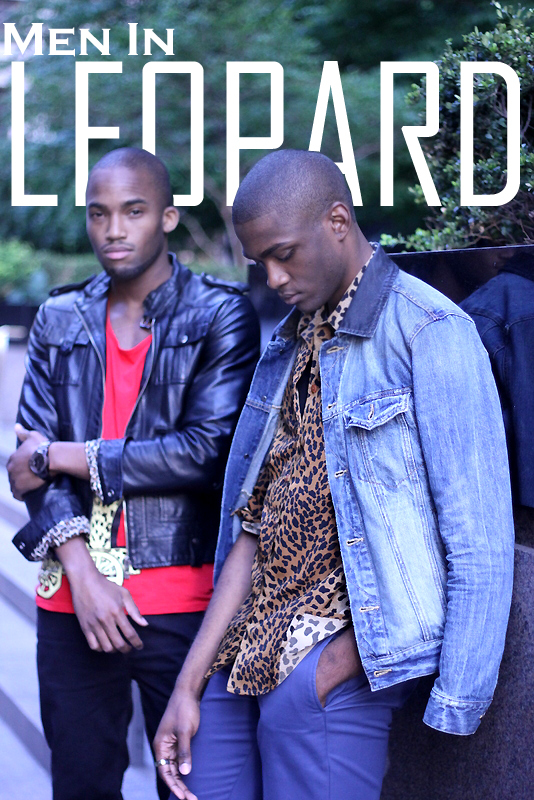 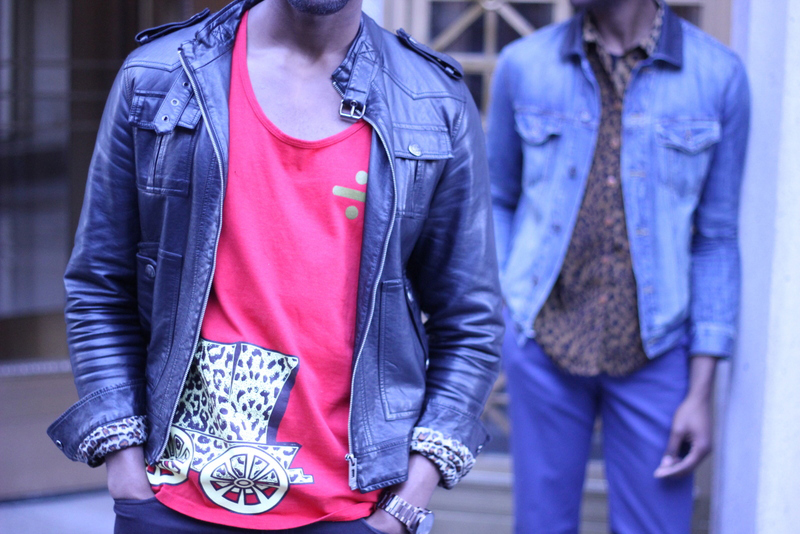 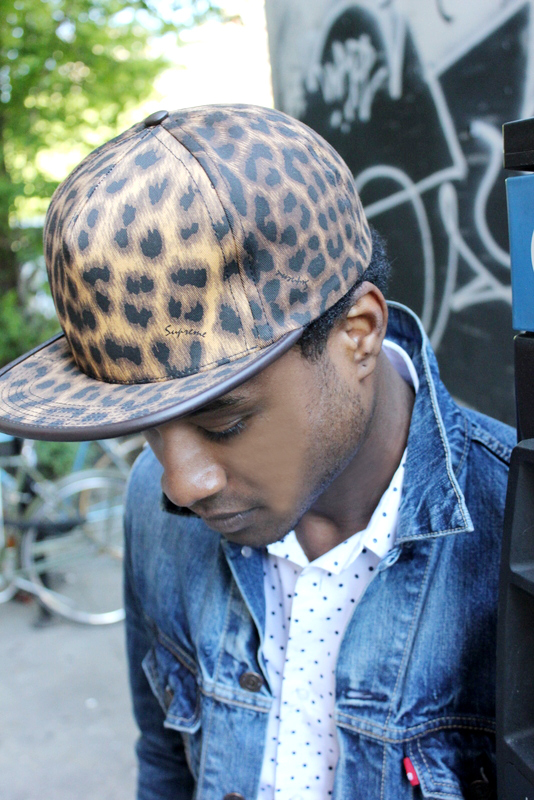 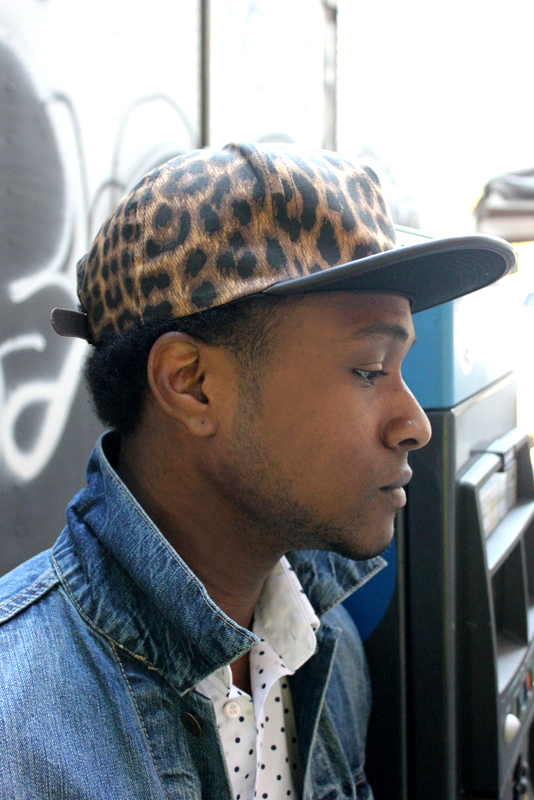 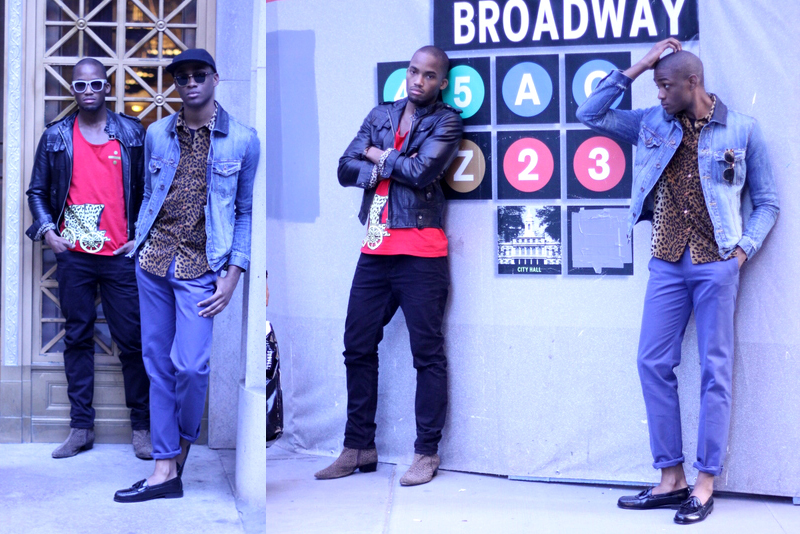 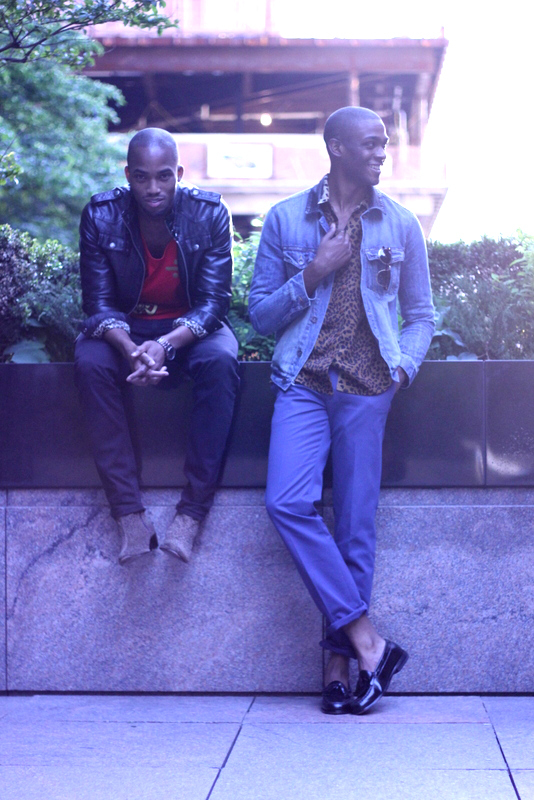 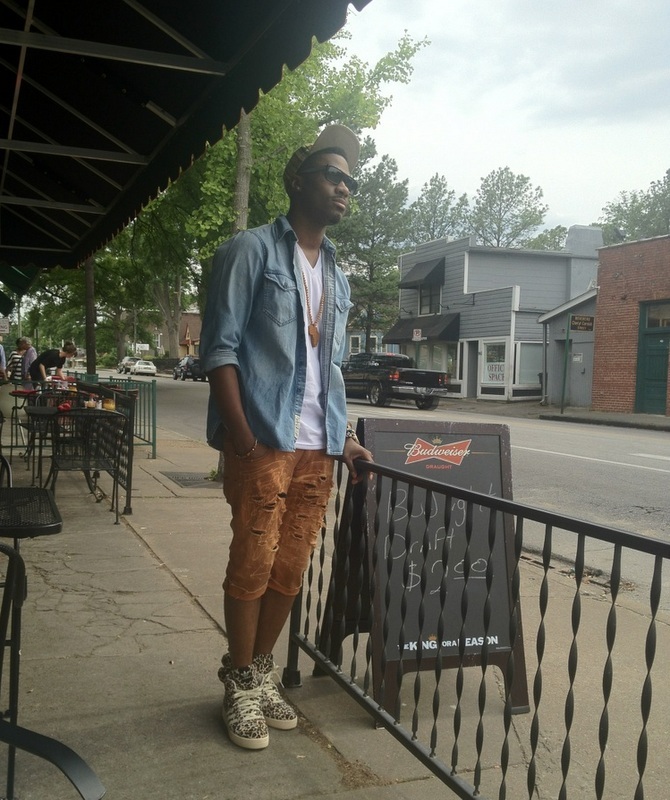 Terrance J was also spotted on 106 and Park in a leopard WESC track jacket. 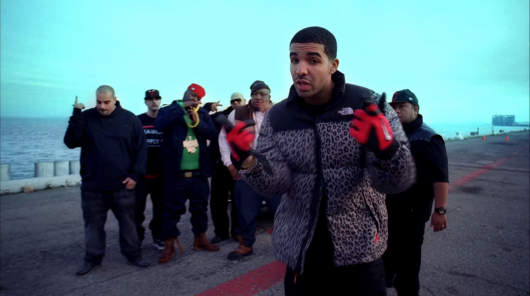 Rappers like Drizzy Drake have also embraced the growing trend. 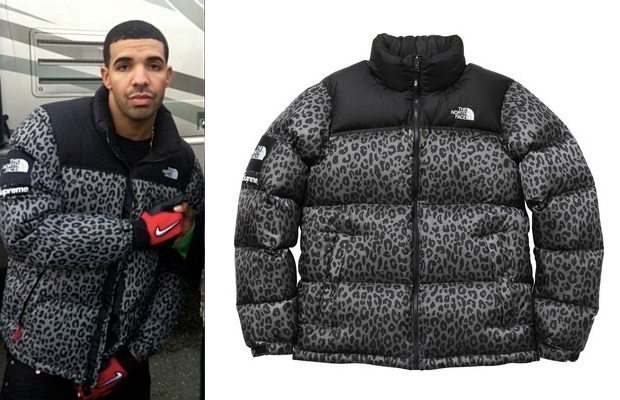 He was spotted on the set of a video wearing a Supreme x North Face Leopard nupste puffer jacket. 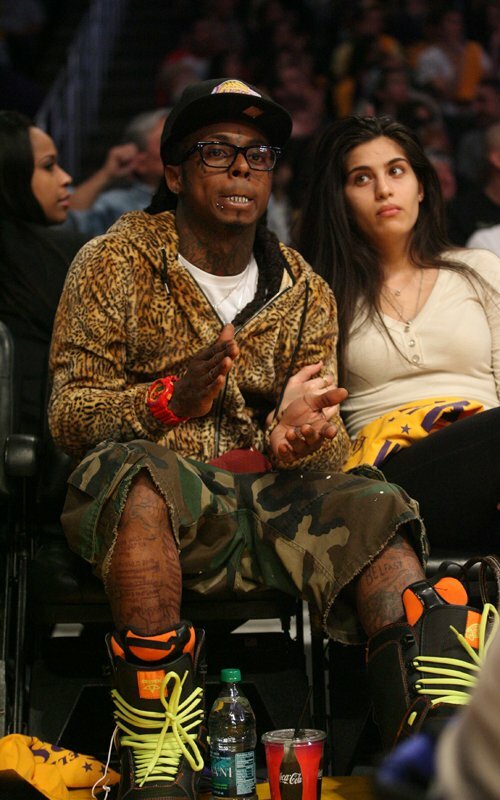 Mentor to Drake, Lil' Wayne has also been spotted court-side in leopard. 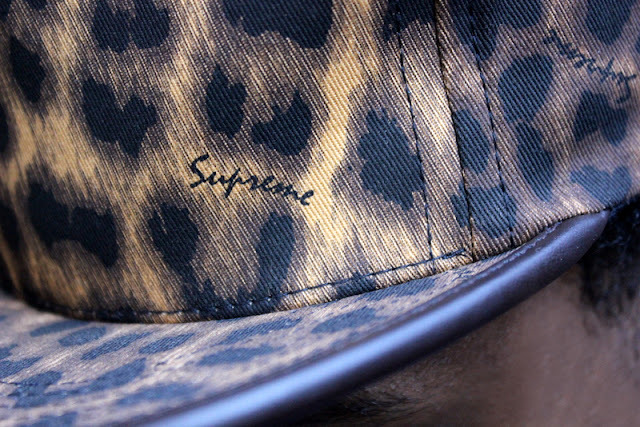 If you are still on the fence about this print, start small. 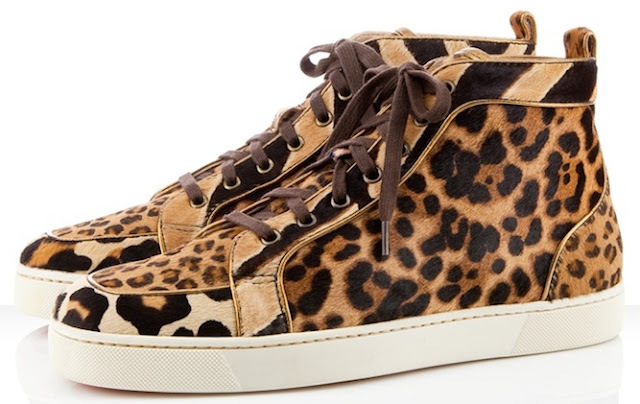 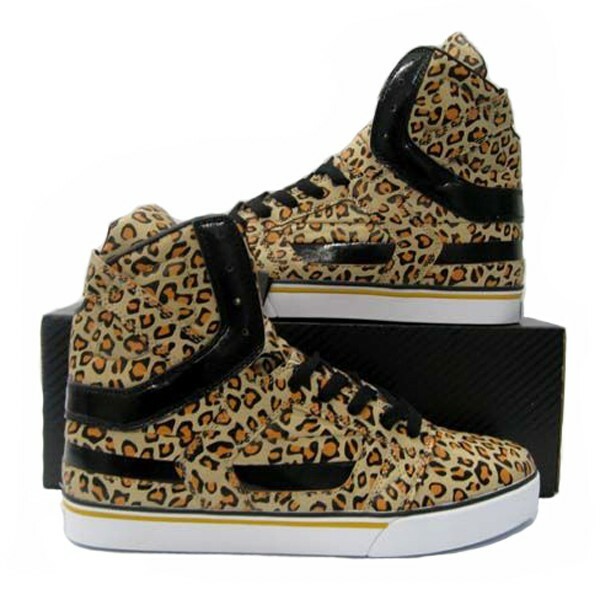 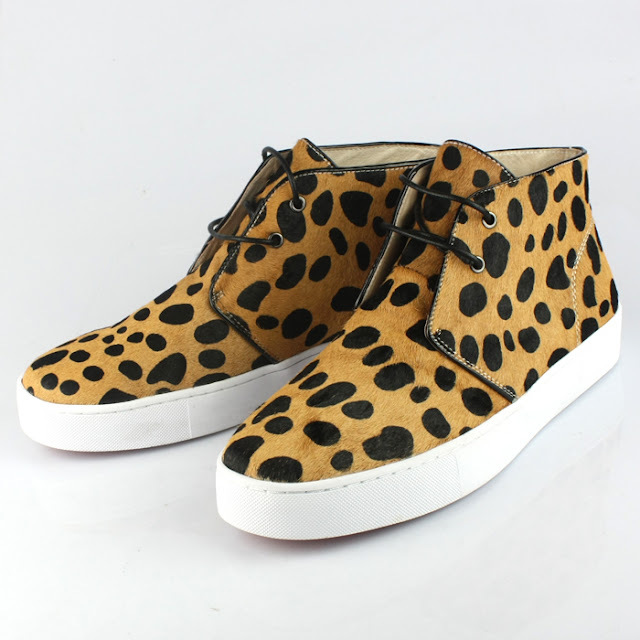 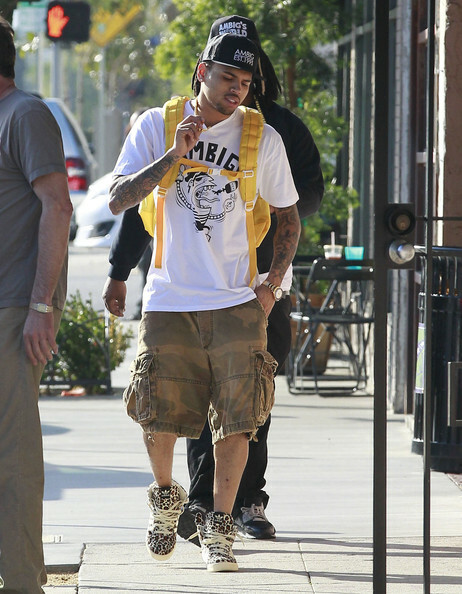 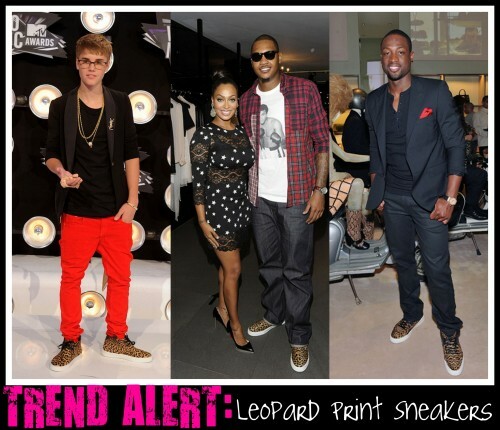 Celebrities like Chris Brown, Justin Bieber, Carmelo Anthony and D Wade have all rocked leopard sneakers. 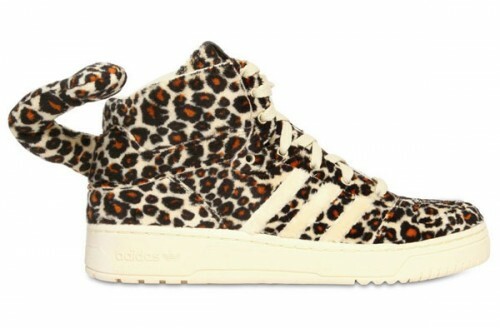 Still debating? 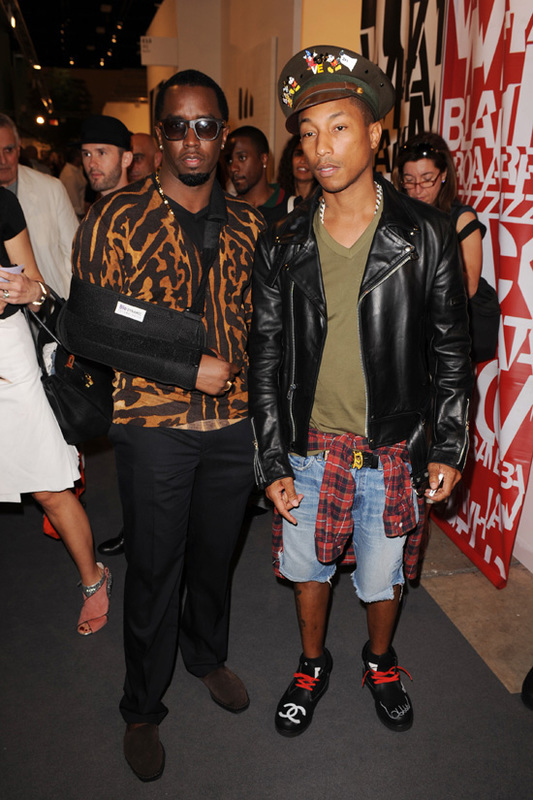 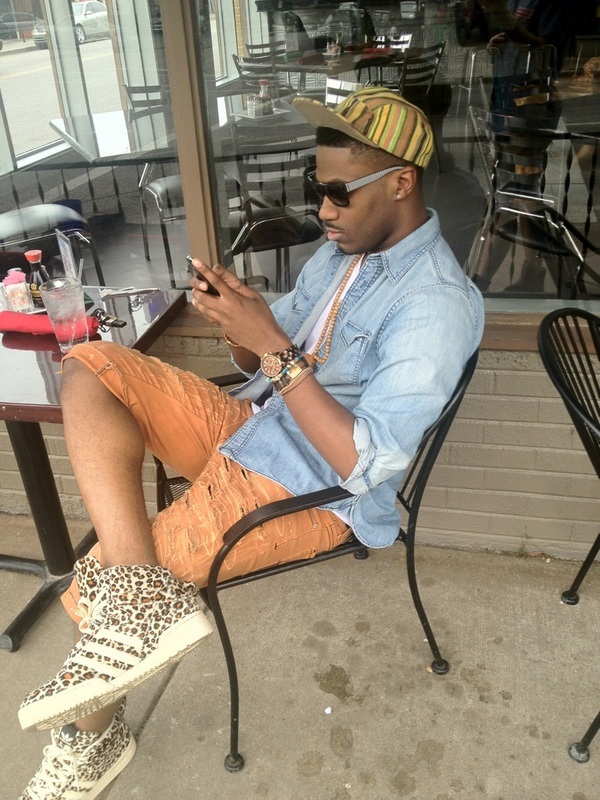 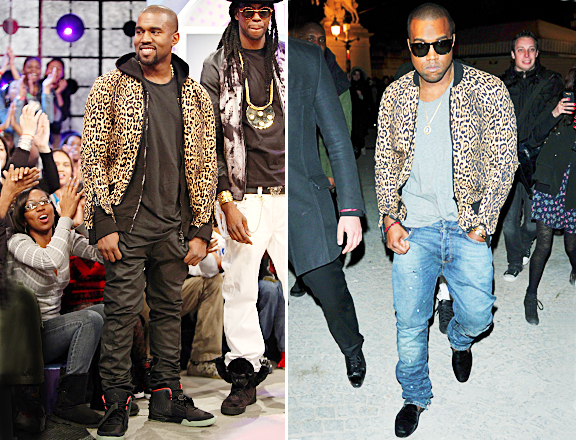 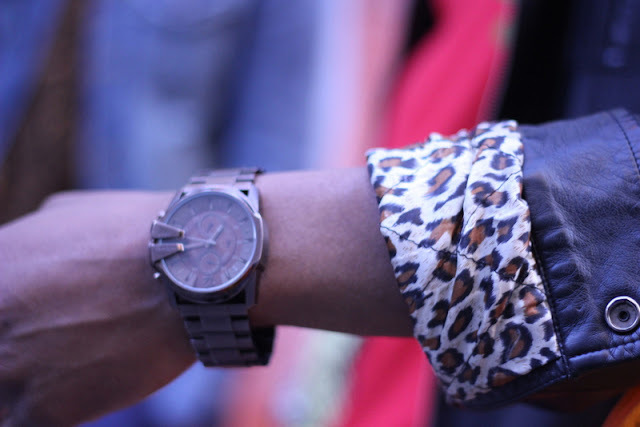 I'm just saying, if Diddy can wear leopard I know you can (lol). 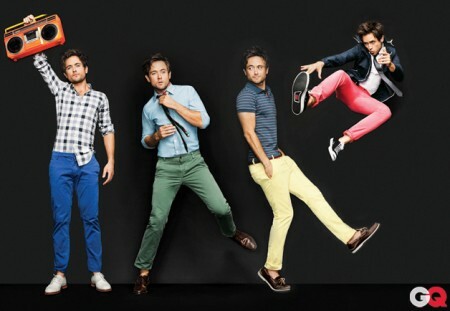 Take that, take that! 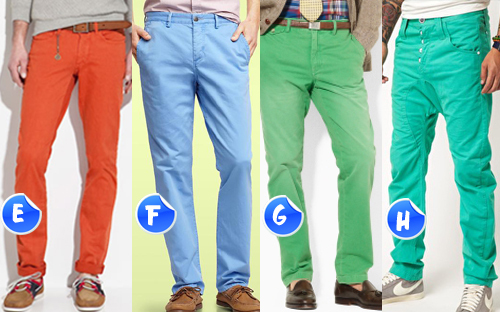 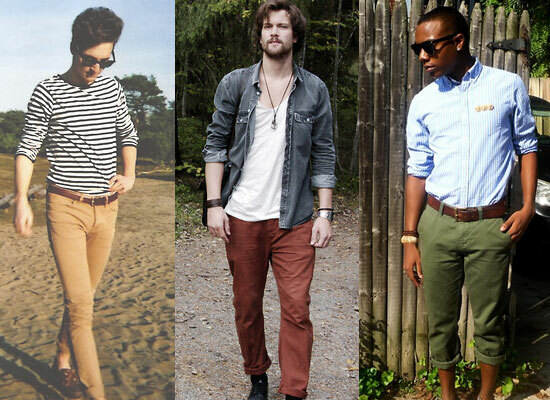 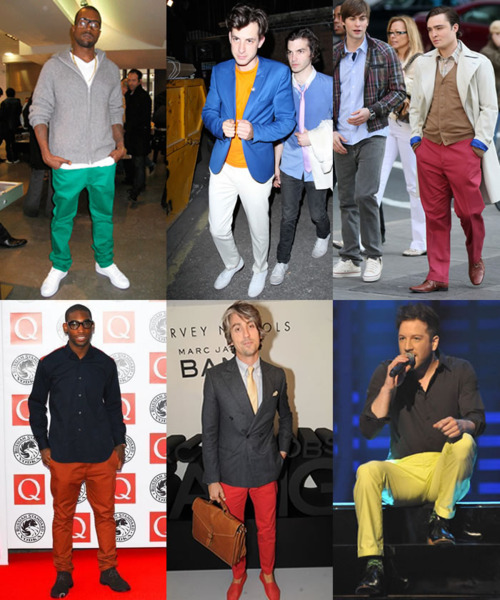 I know accepting leopard on a unanimous vote will only take time, but just remember fashion is forever evolving. 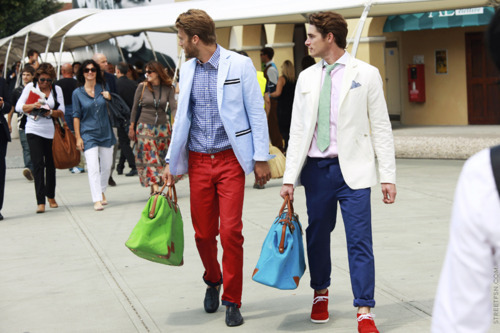 What we deem appropriate attire for either gender will continue to change.